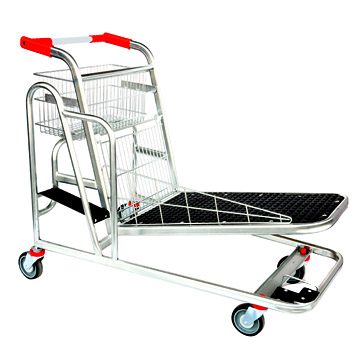 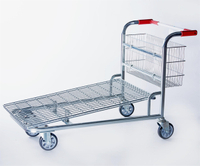 D) Highbrigt enterprise Ltd are Specialized in warehouse trolley with bin Area more than 10 years. 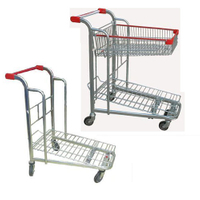 Hope to establish long-term business relationship In this Area. 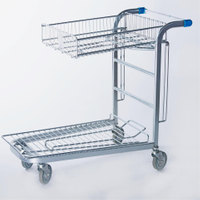 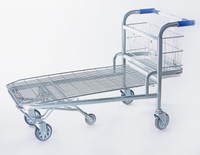 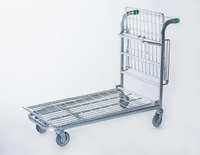 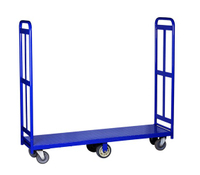 This flat bed trolley is European made and is fabricated to a very high standard and sturdy design. 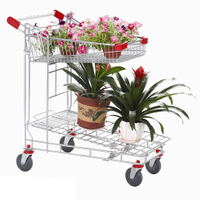 The robust deck offers a good load bearing surface and is sprung loaded to aid nesting. 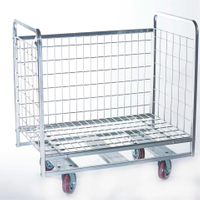 The rear basket is ideal for small items and simply hooks on the frame, so it can be removed if necessary. 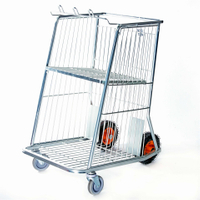 2 fixed and 2 swivel castors house polyurethane tyred wheels of 125mm diameter which makes the platform trolley easy to push and steer, even when fully loaded. 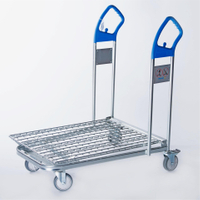 Air bubble film and wooden case, safety for long-distance transportation.